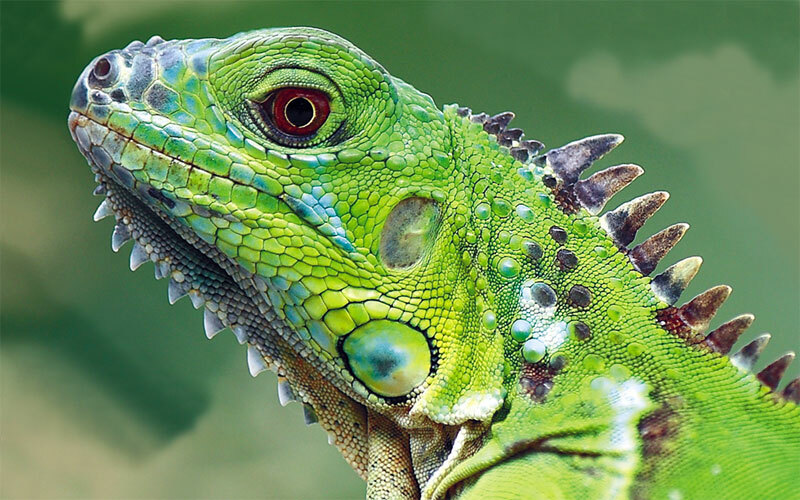 The Green Iguana can be found across South and Central America as well as throughout the Caribbean. They can grow up to 6 feet in length though adult males are usually at least 1/3 longer than the females. They live on average up to 13 years. They are herbivores and feed on leaves such a turnip greens, mustard greens, dandelion greens, flowers and fruit.